Home » Building E-Commerce » CHANEL Digital Relaunch – the sensual explosion of beauty that captures the essence of the ‘Maison de Luxe’. But why are they still afraid of E-Commerce? In each of these sites – one for Jewellery and one for Watches – you will browse through the collections in sublime detail, see the designers create them, examine how attention to detail at each step creates unique pieces of art. A beautiful investment that initiates a cross-channel experience. Watch the collection, search your favourite piece and look at it in infinite detail. Take your time. The Love Story begins and then… visit a store, if there is one near you. Because you are not allowed to order online. Yes, that is real Brand Content – which when allied to efficient CRM creates a new age for Luxury Brands. But the last step is missing: online reservation and/or ordering. And now, the recurring question: Why aren’t we allowed to order online? 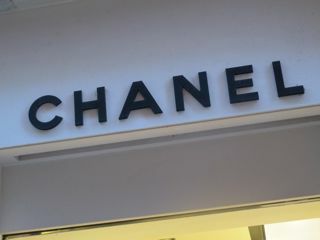 Customers want it.. Is it because Chanel – like others – are not fit internally in their organisation, fear the anger of their resellers, struggle with heavily discounted products.. or is it because they have real concerns for their brand image? Opinions differ here.. but if Hermes now derives 10%+ of its revenue from online and PPR/Gucci Group even more, surely the commercial argument does not hold. Is it just the fear of the unknown? And now the Brand Protection question: aren’t Chanel more hurt by discount/fake selling sites than they would by properly preempting the E-Commerce space? I think so. Going back to the sites… Yes, there are flaws – the site’s rich content is let down by poor technical design, usability and development – it is awfully slow and regularly freezes on you.. and I still don’t get how they let this happen… But I don’t care. It is Chanel. In a couple of month, when all Luxury Brands will have revised their plan and realised that they need to nurture their unique content.. then Chanel will have to reconsider its strategy: They will have to seriously tackle the question of online sales. They will not be able to hide and avoid these highly strategic questions, and address all the infrastructure and customer service questions.. Surely they have already started, haven’t they? Chapeau Bas, but it is only the start, the real beginning of Luxury Online. I wrote an e-mail to Chanel and asked why there isn’t an e-commerce platform for fragrance and beauty for the U.K./European market and they just replied that they have no short term plans for such a venture and that they wouldn’t want to be communicating on this sort of thing anyway – puzzling!! !